In addition to curatorial duties, Dr Downes works extensively in characterising the mineralogy of mineral deposits in Western Australia, including the diamond-bearing alkaline volcanic rocks – kimberlites and lamproites – and the rare earth element-rich carbonatites. Other research directions are in the geochemistry and paragenesis of secondary minerals in the oxidised zones of Western Australian mineral deposits. Collections: Responsible for the Simpson, MDC and the Museum’s original Mineral collections; the Rock Collection; the Gem Collection; and the Meteorite Collection. Services (to other bodies): Dr Downes is a member of the Mineralogical Society of W.A., where he regularly gives talks, and is on the commitee of the Earth Science History Group of the Geological Society of Australia. Dr Downes has been involved in the development of Earth science exhibitions for the Geraldton, Kalgoorlie and Albany branches of the W.A. Museum, as well as exhibitions for the Fremantle Prison. 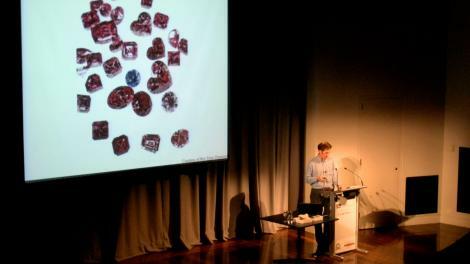 He gave talks on diamonds in the “Harry Butler – In the Wild West” lecture series for 2011 at Fremantle and Kalgoorlie, and regularly gives talks at the Mineralogical Society of W.A., along with presentations at Australian and international conferences and seminars. Downes, P.J. & Bevan, A.W.R. (2007). Diamonds in Western Australia. Rocks & Minerals 82 (1), 66–73. Downes, P.J., Bevan, A.W.R., Costeo, D. & Verrall, M. (2010). Mafic-hosted secondary mineralisation from the Shangri La Pb-Ag-Au-Cu mine, Kimberley, Western Australia. Australian Journal of Mineralogy 16, 15–24. Downes, P.J., Bevan, A.W.R. & Deacon, G.L. (2010). The Fletcher Collection of minerals at the Western Australian Museum: a late 19th century gem. Australian Journal of Mineralogy 16, 3–14. Downes, P.J., Ferguson, D. & Griffin, B.J. (2007). 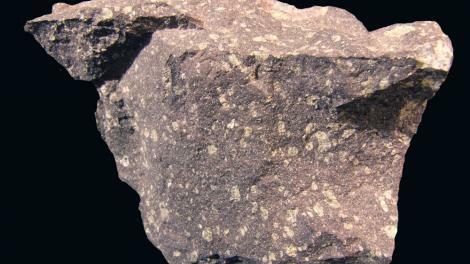 Volcanology of the Aries micaceous kimberlite, central Kimberley Basin, Western Australia. Journal of Volcanology and Geothermal Research 159, 85–107. Downes, P.J., Griffin, B.J. & Griffin, W.L. (2007). Mineral chemistry and zircon geochronology of xenocrysts and altered mantle and crustal xenoliths from the Aries micaceous kimberlite: Constraints on the composition and age of the central Kimberley Craton, Western Australia. Lithos 93, 175–198. Downes, P.J., Hope, M., Bevan, A.W.R. & Henry, D. (2006). Chalcocite and associated secondary minerals from the Telfer gold mine, Western Australia. Australian Journal of Mineralogy 12 (1), 25–44. Downes, P.J., Wartho, J-A. & Griffin, B.J. (2006). Magmatic evolution and ascent history of the Aries micaceous kimberlite, central Kimberley basin, Western Australia: Evidence from zoned phlogopite phenocrysts, and UV-laser 40Ar/39Ar analysis of phlogopite-biotite. Journal of Petrology 47 (9), 1751–1783. Grguric, B.A., Pring, A., Bevan, A.W.R. & Downes, P.J. (2006). The minerals of Comet Vale, Western Australia. Australian Journal of Mineralogy 12 (1), 9–24. Grguric, B.A. & Downes, P.J. (2008). Pegmatite minerals from the Barbara mine, Coolgardie, Western Australia. 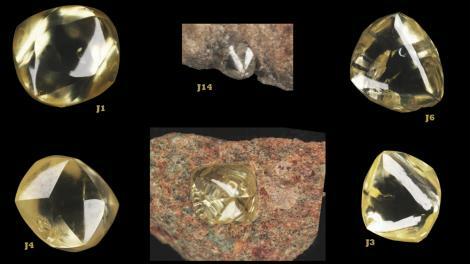 Australian Journal of Mineralogy 14 (2), 55–60. Gwalani, L.G., Rogers, K.A., Demeny, A., Groves, D.I., Ramsay, R., Beard, A., Downes, P.J. & Eves, A. (2010). The Yungul carbonatite dykes associated with the epithermal fluorite deposit at Speewah, Kimberley, Australia: carbon and oxygen isotope constraints on their origin. 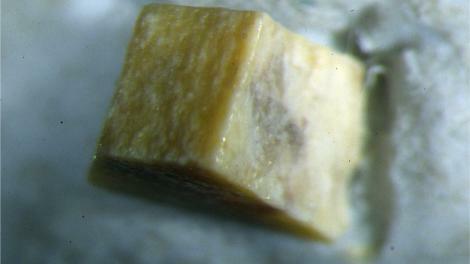 Mineralogy and Petrology 98 (1), 123–141. Hancock, E., Downes, P.J. & Bevan, A.W.R. (2007). Secondary minerals from the Braeside lead field, Pilbara, Western Australia. Australian Journal of Mineralogy 13 (2), 55–63. Henry, D.A., Bevan, A.W.R., Bevan J.C., Birch, W.D., Carr, P.F., Downes, P.J., England, B.M., Pring, A. & Williamson, P.L. (2007). Classic Australian Minerals. Rocks & Minerals 82 (1), 18–28. Nickel, E.H., Williams, P.A., Downes, P.J., Buchert, D.E. & Vaughan, D. (2007). Secondary minerals in a tennantite boxwork from the Bali Lo prospect, Ashburton Downs, Western Australia. Australian Journal of Mineralogy 13 (1), 31–39. Sweetapple, M.T. & Downes, P.J. (2010). Petrographic and mineralogical studies of ten samples from the oxidised zone of the Cummins Range carbonatite, Western Australia. CSIRO Restricted Report P2010/525. 56 pp.